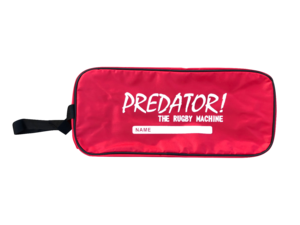 Personalised Rugby Boot Bags for Sale UK | PREDATOR! 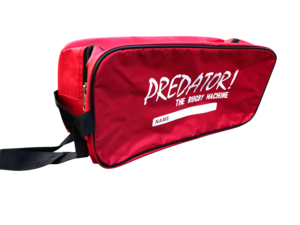 Tough, hard-wearing fabric with reinforced seams and strong single loop carrying handle. Extra length zip for easy access. Holds one pair of rugby / football boots. 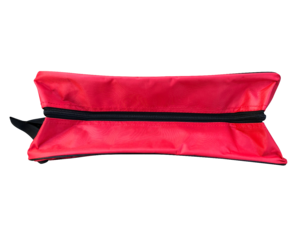 Black top panel, Red body. Dimensions 6" x 6" x 14"